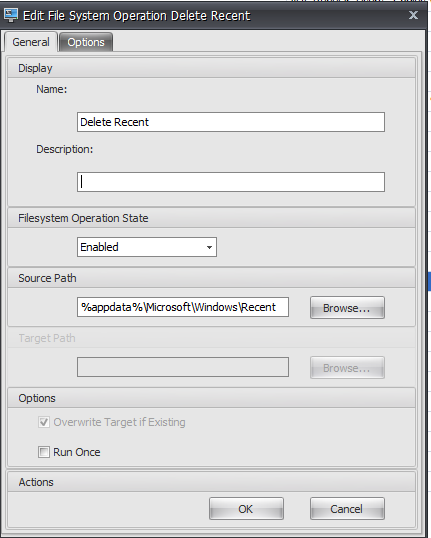 Using Citrix Profile Management with profile streaming enabled should keep your logon times pretty low. Recently, they updated the version of our Antivirus (Trend Micro) to the latest, and suddenly I started seeing desktops fail with “session prepare failure” errors. 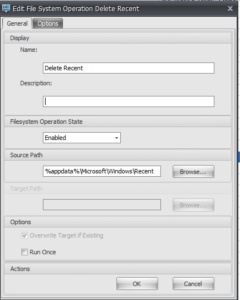 After much investigation it had something to do with the behavior monitoring feature of the AV software hanging Citrix Profile Management long enough to cause the desktop to freeze/unregister. Turning off the profile streaming option fixed that issue. Since then I have noticed logon times have skyrocketed. I used to see an average logon time of about 30 seconds, and after disabling profile streaming I see average times well over 1 minute (some individuals as high as 5 minutes). In order to try to get our logon times back down to a reasonable time I wrote a script to investigate the profile store. 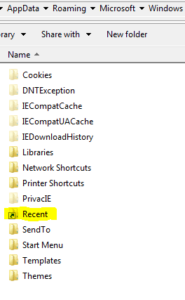 I found a few folders which contain a ton of files – files that have to be copied in at each logon slowing things down. I wrote a blog post a while back about using a Powershell Script to redirect folders via symbolic links. You can find that here http://www.citrixirc.com/?p=315. We can use that same method to redirect “bad” folders, but using Citrix Workspace Environment Management instead (no need to learn how to script!). 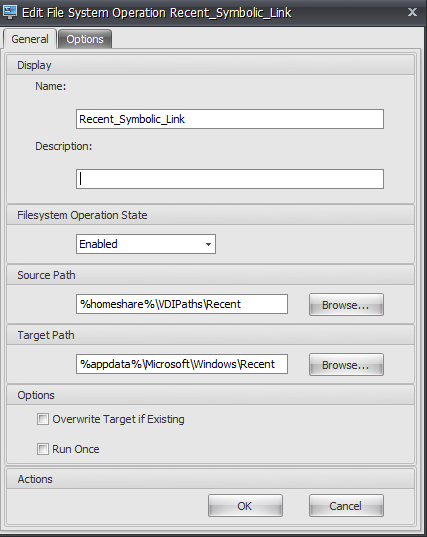 NOTE: Users must have the “Create symbolic links” right! Of course, you are going to need WEM setup in your environment. 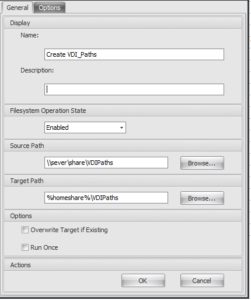 Carl Stalhood has a great step by step on how to set it up here http://www.carlstalhood.com/workspace-environment-manager/. If you are installing on a PVS image before shutting down your maintenance/private mode vdisk to re-seal, kill the Norskale Agent Host Service. 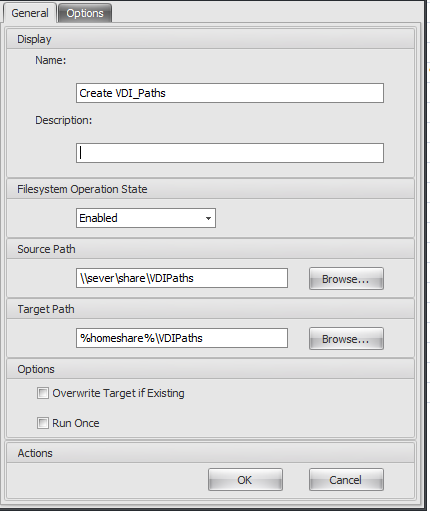 For whatever reason if you don’t do this it can cause your vms in standard mode to take an obscenely long time to shutdown. 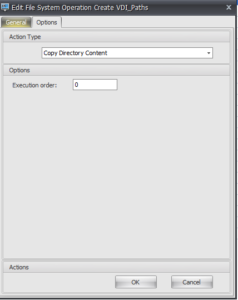 Under Options – Copy Directory Content (creates the folder structure in the user’s %homeshare% folder or where ever you put it), and make sure the Execution order is “0” – happens first. 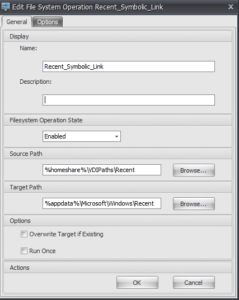 We will first move the existing data in the profile to the redirect location, second delete the existing data in the profile, and finally create the symbolic link. 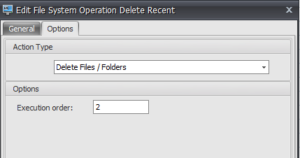 Under the Options Tab select Delete Files / Folders and set the Execution order to 2 as we want the files to be moved to the new location prior to deleting. The Source will be the %homeshare% location, and the target will be the local profile path location. 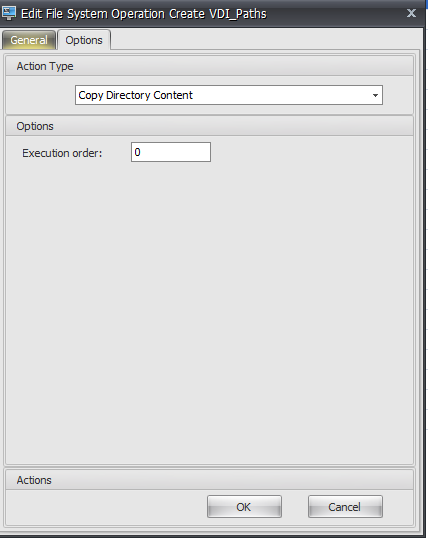 Under the Options tab set the action to Create Directory Symbolic Link and set the execution order to 3. Assuming you have already setup configured users you can now assign the 4 tasks above to your test user or group. Going forward you will only need to create the latter 3 tasks, and just make sure you update the “template” directory accordingly. 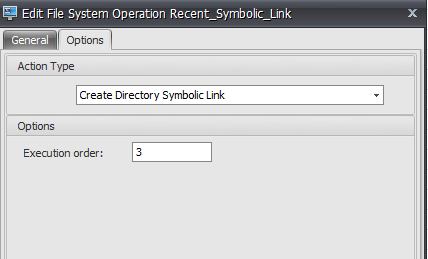 If you click into the Recent symbolic link you will see it still looks like it is on the local C: drive as far as the path goes, but it is “redirected” to the path you specified. If it does not work check the Norskale Vuem Agent.log file in the user profile, and look for the error. If it is a permissions issue, then you probably have to allow the user to create symbolic links via gpo and/or local policy (I put it both places just to be sure it takes). The problem I had is that Trend Micro’s behavior monitoring (part that stops ransomware) was delaying the UPM file system driver – causing the machine to hang/unregister. 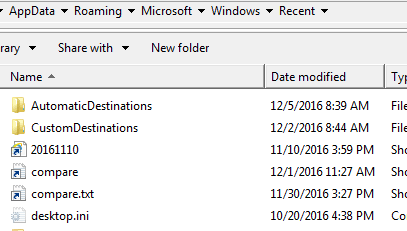 The file system driver is a .sys file and the only extension I can exclude from behavior monitoring are .exe files (and believe me all the citrix .exe files are set to be excluded). In any case turning off profile streaming is the only way to correct it – aside from disabling the behavior monitoring piece (not an option). I have read of similar headaches from other AV platforms as well where disabling the profile streaming is the fix. 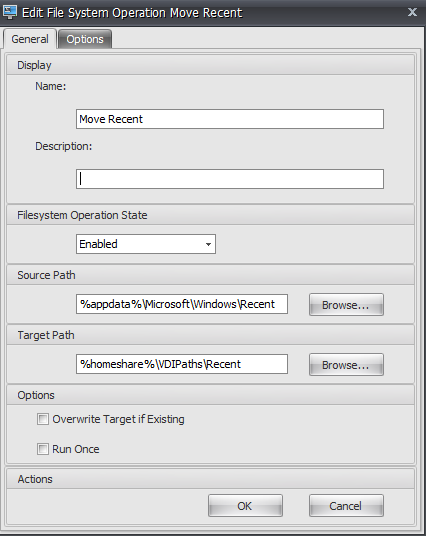 The reason I move the application caches to a file share (CIFS) is because at logon with profile streaming off it would have to copy in EVERYTHING before the user got to the desktop… greatly increasing the user logon times. Browser caches alone can be huge, and copying in thousands of itsy bitsy files from the “Recent”/”DOMStore” directories can take forever. Which version of Trendmicro are you guys using? Thanks David. Your settings are all to redirect AppData subfolders. I’m trying to determine the best way to manage common folder redirection, e.g. Documents, Favorites, etc. 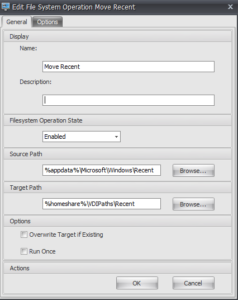 WEM has redirection settings for UE-V and other profile-handling methods, but not for Citrix UPM. I feel like I’m missing something. Never mind my previous comment. I thought that USV = UE-V. 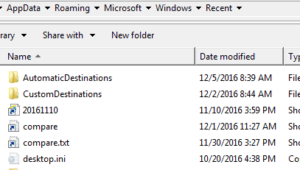 I realize now that USV is just roaming profiles and folder redirection, so the folder redirection part should be used alongside Citrix UPM. Fabulous! 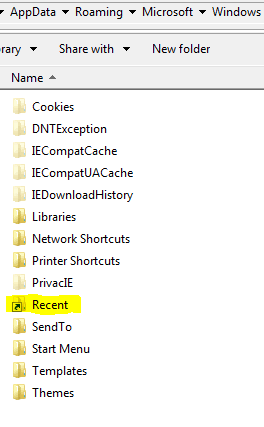 Used it to redirect OneNote folder in the appdata\local.